As any iPhone or iPad owner with children will attest, touchscreen devices are clearly the future of kid-friendly computing—there’s no substitute for the direct interaction between on-screen items and fingertips. But a lot of great kid software is still available for the Mac, so until we replace all our Macs with tablets, we’ll have plenty of reasons to set up a computer for the young ones. Most people worry about finding the right software and configuring the right settings for kid-safe computing. But what about the hardware? Chances are you often see a scene much like the one above—your child happily absconding with your laptop to the couch. But it’s not the best setup—ergonomically or logistically—for a child. Here are some tips for setting up a work-and-play-station your kids will love. Kids don't typically need a powerful machine. A hand-me-down computer, or a Mac mini and any available display, will do. Although you can share your Mac with your kids, doing so involves quite a bit of logistical maneuvering—and not just because of differences in preferred physical setups. For example, you’ll need to decide who gets to use the computer when, and you’ll have to share your Mac’s hard drive with applications and media you may never use. If your budget allows, you’ll appreciate the flexibility of having a dedicated “kid computer.” And it doesn’t have to cost an arm and a leg: Given that many schools use older hardware, a lot of children’s software runs great on computers that are several years old. You can hand down an older Mac when you upgrade, or you can shop for a used or refurbished Mac. My family’s three-year-old Mac mini, equipped with an eight-year-old LCD display, has more than enough horsepower for the educational and creative software our kids enjoy. The other question is one we all face: desktop or laptop? I can tell you from experience that kids love laptops. From the trackpad to the lack of wires, kids, like adults, are enamored with the freedom a laptop provides. But I can also tell you—again, from experience—that kids aren’t as careful with computers as most adults are. Laptops get dropped and stepped on, screens get poked and bent back, and food and liquids get spilled, no matter how many rules and warnings the adults in the house may issue. It’s much easier (and cheaper) to clean (or replace) a Mac mini’s keyboard than to fix a broken laptop. 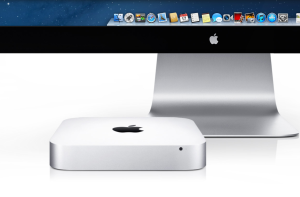 And desktop Macs cost less than Apple laptops, too. Consider giving kids an input device that’s easier to use than a mouse, such as Wacom's Bamboo Capture. This tablet has a multitouch surface that also works with pen input for drawing and coloring. You may be tempted to use the mouse and keyboard that came with your computer, but those accessories were likely designed for adults. Kids can really benefit from input devices designed with children’s smaller hands and lack of computing experience in mind. Input devices: Ironically, perhaps the biggest obstacle to using a computer, especially for younger children, is the mouse. Although it seems perfectly normal to people who’ve used one for years, moving an object around on a desk in order to move a cursor on a computer screen isn’t especially intuitive. I’ve found that many kids learn basic computer tasks more easily using a trackpad. Apple’s $69 Magic Trackpad ( ) is a safe bet here. Other options include Logitech’s $70 Rechargeable Trackpad ( ), a similar accessory that will save you money in battery costs over the long run, and Wacom’s $99 Bamboo Capture, which combines the benefits of a trackpad with a traditional pen-input tablet for writing, drawing, and painting. The Bamboo Capture’s 5.8-by-3.6-inch multitouch surface and large, easy-to-click buttons make it perfect for young hands. It’s even reversible for left- or right-handers. Logitech's Wireless M325 is smaller than a regular mouse and comes in some appealing designs. 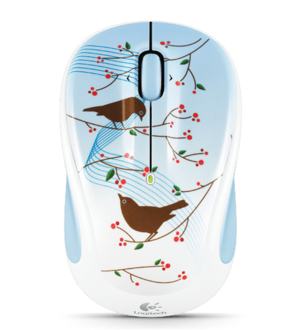 If you—or your child’s school—insist on a mouse, look for one that’s smaller than a typical model made for adult hands. Many travel mice, such as Logitech’s $30 Wireless Mouse M325, Microsoft’s $30 Wireless Mobile Mouse 3500, and Targus’s $32 Wireless Compact Laser Mouse are smaller than their standard siblings. Keyboards: Kid-focused keyboards, such as Crayola’s $30 USB EZ Type Keyboard (just $15 on Amazon.com), have fewer keys, larger key labels, and relatively colorful designs. If your child is already comfortable with a keyboard, however, you may want a more standard layout. If so, consider using your current keyboard with a keyboard skin that offers larger key labels (more on keyboard skins in a moment). Many keyboards made for kids, like this one from Crayola, are small and colorful, and have extra-large keys. Most of us know the basics of computing ergonomics—if you don’t, check out these suggestions from Cornell’s Ergonomics Research Group—but how many of us apply those guidelines when our kids are using the computer? A good ergonomic setup matters for children, too, so try to make your kids’ computer physically kid-friendly. One related tip: Although you might be tempted to use a desk with a built-in keyboard drawer, kids will treat that surface as just another table or desk—and will lean on it with all their weight. So unless your keyboard drawer is extremely sturdy, place the keyboard on the desktop and adjust the desk or chair height accordingly. Protect the keyboard with a washable skin like KB Covers’ Large Type keyboard cover for MacBook ($25; top) or for Apple's Wireless Keyboard ($30; bottom). No matter how angelic they may seem at times, kids will be kids, which means you’ll want to take some steps to protect their computer from food, drink, messy fingerprints, and the like. You’ll also want to clean the computer when protective measures fall short. Perhaps the most vulnerable part of a computer is the keyboard. It’s nearly impossible for an adult, let alone a small child, to prevent dirt, hair, liquids, and other stuff from sifting down between the keys. I recommend using a keyboard “skin”: a washable, silicone cover, custom-fit for each keyboard model, that keeps such detritus from ever reaching the keys. KB Covers makes a huge range of keyboard covers for Apple-branded keyboards; some even offer educational benefits, as well. For example, for $20 to $30 each, the company offers a number of covers with large-type key labels, as well as several that display both upper- and lower-case letters on the keys. The latter are especially useful for kids who are learning the alphabet. You can also get skins in pink and aqua. 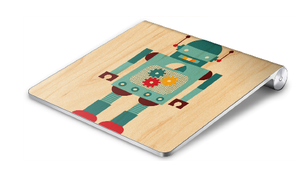 GelaSkins' Magic Trackpad skins protect your kids' trackpad while adding some flair. The Magic Trackpad has no crevices or cracks, but if you’d like to protect its surface a bit, both GelaSkins and DecalGirl offer dozens of stylish skins for Apple’s trackpad. As for your computer’s screen, while there are protective films on the market—some of the best come from Moshi—most are sized for laptop displays. For a desktop display, you’re better off cleaning the screen and the rest of the computer regularly. Perhaps the most important aspect of setting up a kid-friendly computer is to ensure that it offers the freedom to learn. Once you’ve set up a great computer for your children, you may be tempted to walk them through every action and task. But they’ll get more out of the experience—especially in the long run—if you let them explore on their own. Provided you’ve properly configured programs and OS X’s parental controls, just show them the basics and then take a step back. You’ll be amazed at how quickly they figure things out—and unlike many adults, they won’t hesitate to ask for help if they need it.